Your bark may be worse than your bite, but your bite is a very important part of your oral health. 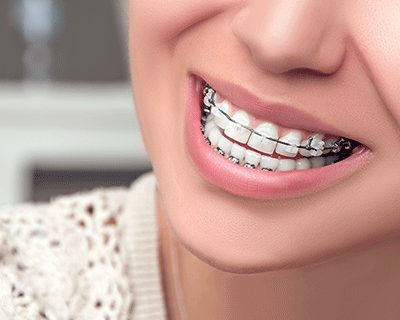 In orthodontics, “bite” refers to the way upper and lower teeth come together. A bad bite, called a “malocclusion,” happens when teeth meet improperly, or they don’t meet at all. While each individual bite problem is unique, there are seven broad types of bite problems that are common in children and adults in Ashburn & Woodbridge VA. The fact is that if any of these common bite problems exist in a child’s mouth, they likely will not self-correct. Untreated problems tend to get worse with time. Many times, the bite problems are best treated while the child is still growing, so make an appointment with an orthodontist in Ashburn or Woodbridge today. You don’t need to wait until your dentist refers you. If you suspect that you or a loved one has one of the seven common bite problems, American Braces & Smile Center orthodontists in Ashburn & Woodbridge VA can help. Parents – there’s no need to wait until your child has lost all her baby teeth before you consult an orthodontist in Ashburn or Woodbridge VA.
It’s fine to talk to an orthodontist as soon as you think you see a problem with your child. And adults – there’s no time like the present to talk to an orthodontist about getting the smile you’ve always wanted. We would love to meet you in one of our offices in Ashburn, VA and Woodbridge, VA. You will get a FREE orthodontic consultation for your children today – Click here to make a booking.